Toby finds life in the resistance tough but compelling in Dambuster Studios' Homefront sequel. Your comrades remain silent during the interrogation. “Where’s Walker?” the man asks. They don’t reply. You sit in your chair helpless, watching... waiting for the inevitable. There’s nothing you can do, and in their fight to keep Walker from the clutches of the enemy, they both receive shots to the head. Live and die for the revolution, they say. Bites of brutality like this are common in Homefront: The Revolution. You and your comrades were captured by the Korean People’s Army (KPA), the military forces of the Greater Korean Republic (GKR), a major power that now has a hold of many major North American states. The GKR invaded, and it’s up to a rebel force to take North America back. The aforementioned Walker is a vital cog in the rebel machinery, so losing him to the GKR would be a huge blow for the cause. Having enjoyed parts of the original Homefront, I’ve been cautiously optimistic for this expansion of the series. The original lacked a hell of a lot of things, but it hit the nail on the head with its fantastic premise. 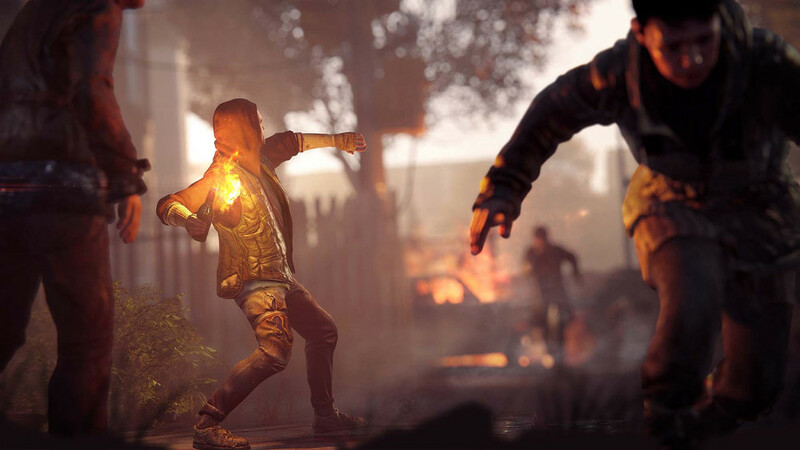 Homefront: The Revolution isn’t an easy game. Unlike your Call of Dutys, your Battlefields and such, The Revolution challenges you to be decisive but also tactically aware in combat. It rewards you for understanding your surroundings, taking cover, and popping enemies off one by one rather than going in guns-blazing. It is refreshingly different from the norm, and it is tough. The difficulty isn’t off-putting, though. I embraced the fact that I wasn’t some sort of super soldier who could kill all who stood in my path, and snuck around, patiently timing my attacks. One of the biggest annoyances in many shooters is that they make you the be all and end all. 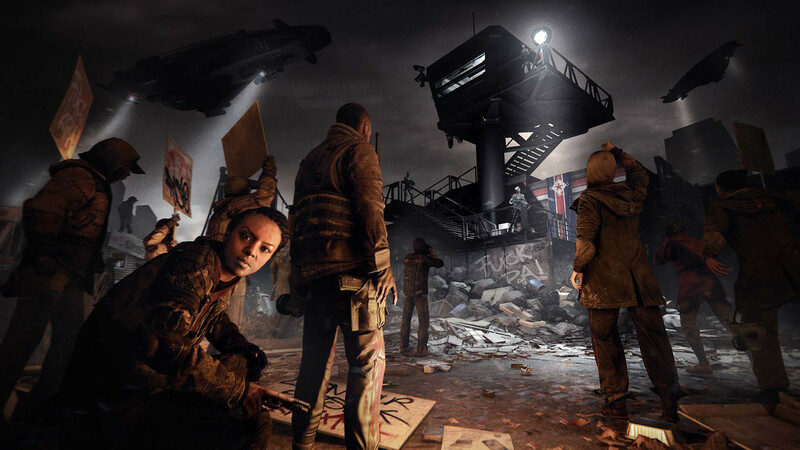 Homefront: The Revolution is nothing like that, and instead makes you feel like just one part of a group of rebels fighting for their freedom. I didn’t get much of a look in on the story of the game – which is said to last anywhere from 15 to 20 hours – but what became apparent from the get-go was that this would be a brutal battle. Taking the game open world has given Dambuster the freedom to create its vision of a city filled with things to see and do, and as I walked through the decimated streets I couldn’t help but feel like I was already a part of this universe. There were many things going on around me, from people begging for help to KPA officers examining civilians with their high tech equipment. I’m pretty sure I even got asked on a date at one point. This all made the world of future occupied Philadelphia feel grounded and lived in, which immediately made me feel nicely immersed. It helps that Revolution plays really well, whether you’re zooming around on a bike or on the ground navigating the overturned streets. Guns feel weighted and heavy, so firing feels more realistic than in your average shooter. A sleek customisation menu makes swapping out your inventory and adding gear to your weapons a breeze, and while I didn’t get to dig too deep into it all, it looked like it contained a good amount of depth. 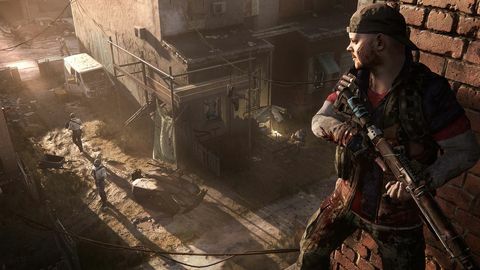 Adapting to your surroundings seems to be a big part of The Revolution, and the city's three distinct zones aid your loadout choices. Red Zones are the war-torn areas of Philadelphia, with firefights regularly occurring throughout. These areas aren’t patrolled by the KPA anywhere near as much as other zones though, which means more carefully planned attacks like flanking are much easier to execute. On the other hand, Yellow Zones are where Philly’s oppressed civilians live, watched over by patrols of KPA soldiers and vehicles. As you’d imagine, drawing your weapon in a Red Zone is no big deal, but drawing a weapon in a Yellow Zone will immediately cause a stir with both civilians and the KPA. Stealth seemed to be the best way to get around the Yellow Zone I was in, as the KPA were already looking for my face at the point in the story. I traversed rooftops to keep distance between myself and plethora of KPA on the ground. The third zone type, Green, feature military compounds and places of GKR significance. I didn’t get a chance to move through any of these, but considering how tough it was to get through the Yellow Zone I was navigating, I’d imagine Green Zones would be somewhat hellish for resistance fighters. Having made my way through bits of the Yellow Zone, I brought up the game’s map. So many icons popped up I felt like I’d been hit in the face and was seeing double – a feeling not dissimilar from the one you experience upon opening the map from any of Ubisoft’s annual franchises. The difference here is that all side activities contribute to the ‘Hearts and Minds’ of the people in Philadelphia. These range from hacking terminals and retuning radio stations to the revolution’s frequency, to saving civilians from KPA soldiers and helping beggars. Complete all the side missions in an area, and you’ll claim it back from the GKR. I’m worried that these side activities will become drab fairly quickly, but overall my hour spent with Homefront: The Revolution was largely positive. The game looks and sounds great, and has a suitably dark and gritty atmosphere. If the story stays interesting throughout, and the side activities remain fresh and fun, Dambuster’s sequel could fulfil the potential the original game possessed.